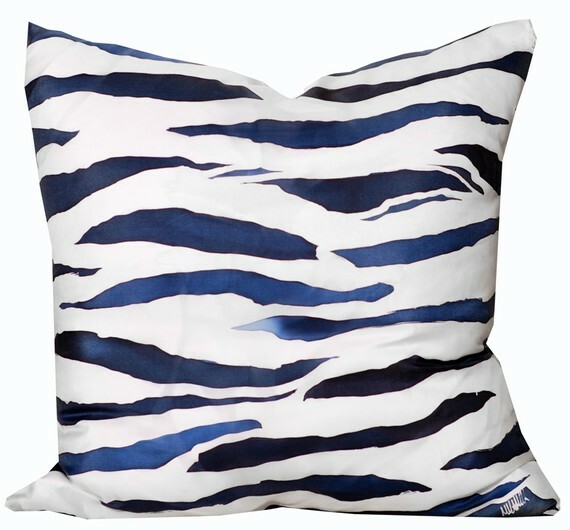 Recently, a client asked me to source "modern and sophisticated" zebra print bedding for her young teenaged girl. I was pretty sure that was an oxymoron, but of course I obliged anyway. However in my searches, I came across not only a great set of organic cotton pink zebra pattern sheets for my client, but also a ton of modern, design-friendly spins on animal prints. 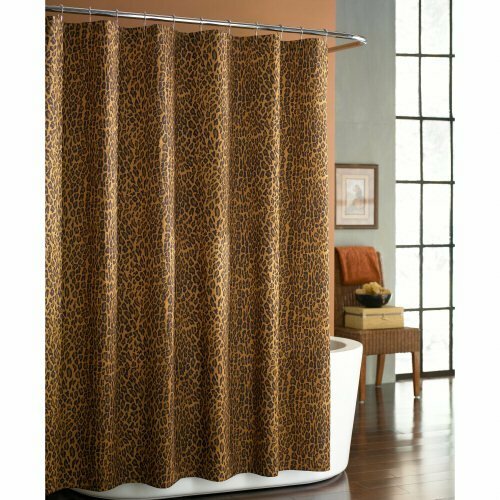 Take a look at some general animal print accent inspiration and some great products that I found and feel free to go wild!! 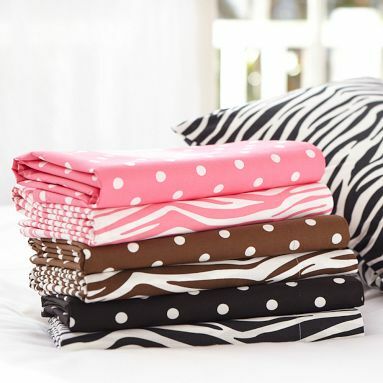 PB Teen's Zebra Sheet Set with organic cotton content. Leopard Fabric Shower Curtain from JC Penny. Snow Leopard Wrinkle Free Bedding from The Company Store. 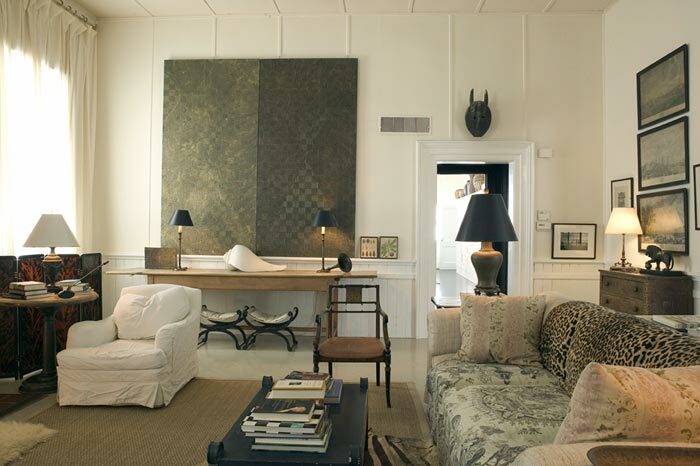 Leopard Print Wood and Faux Leather Tray Set from Cheap-Chic Decor. 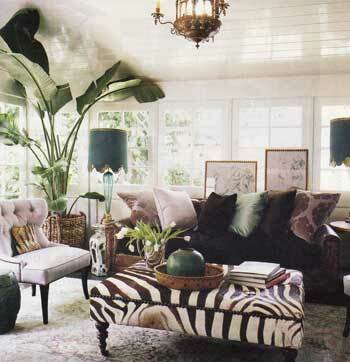 Maha Fiberglass Animal Print Round 25" High Table Lamp from Lamps Plus. 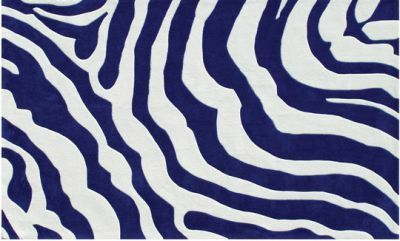 Indigo Tiger Rug from Clayton Gray Home. 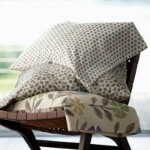 Alcott Flannel Bedding in "Animal Skin" (the middle pattern), also from The Company Store. 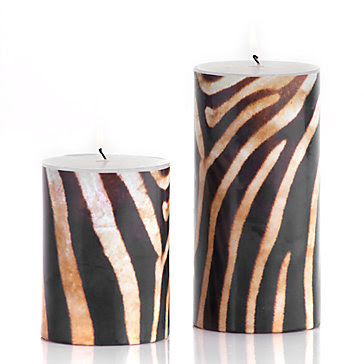 Zebra Pillar Candles from Z Gallerie. Hand Painted Silk Pillow Cover in "Blue Zebra" from Michelle Mathiss on Etsy. 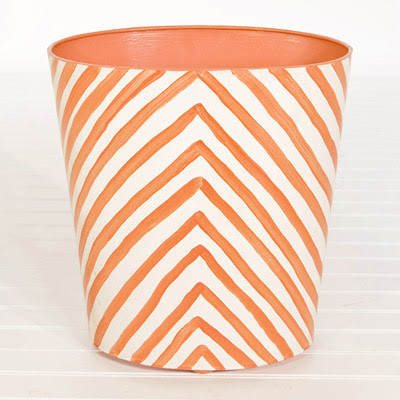 Worlds Away Zebra Print Oval Wastebasket in Orange from Layla Grace. 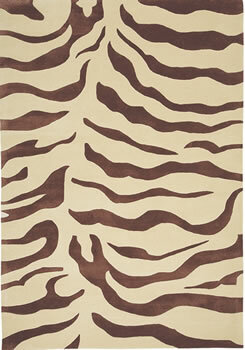 Brink & Campman's Brown & Beige Zebra Print Rug from Domestic Modern. 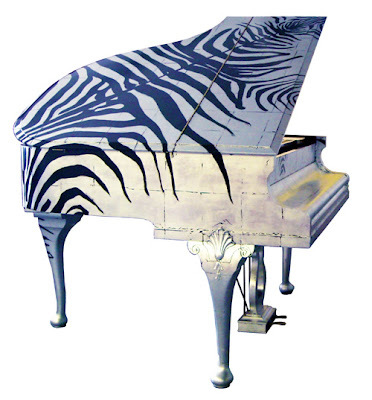 Silver leaf and Zebra Print Baby Grand Piano, a special commission by Jimmie Martin. I know these aren't for one's home - unless you have a really big living room - but I just had to include them. 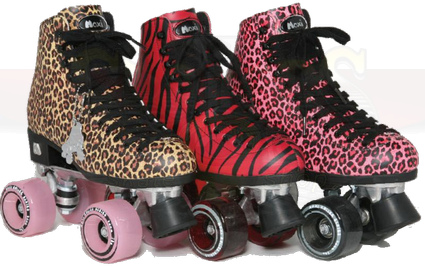 Moxy Ivy Roller Skates from Urban Outfitters. Thank you so much for stopping by. 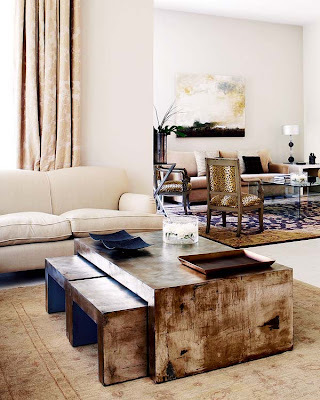 My passions for writing, interior design, and caring for our planet inspired me to start this blog and it is such an enjoyable honor to bring content to these pages every day (or almost every day!). 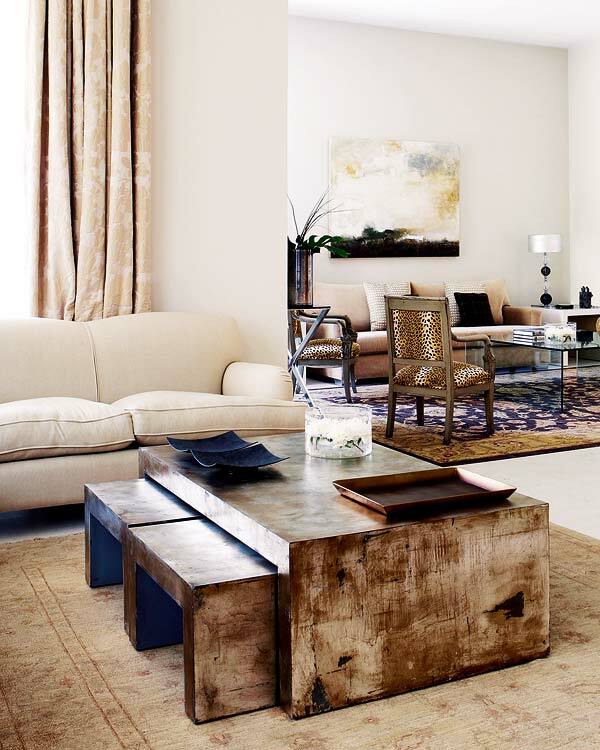 I hope you find something useful, thought provoking, or just beautiful to look at with every visit you make. Please comment and question freely. Your feedback is invaluable to me since I'm still just a blogging novice, figuring it all out one post at a time. 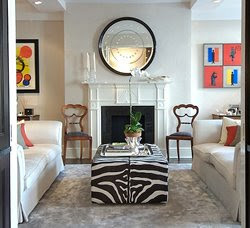 To read more about my services as a designer, home organizer, baby preparation specialist and more, please visit www.babygreendesign.net or go to Elle Decor.com's designer registry.